Surprisingly to me, one of my favorite assignments is shooting high school football. Here is a shot for a feature story on local Messalonskee High School's coaching staff. 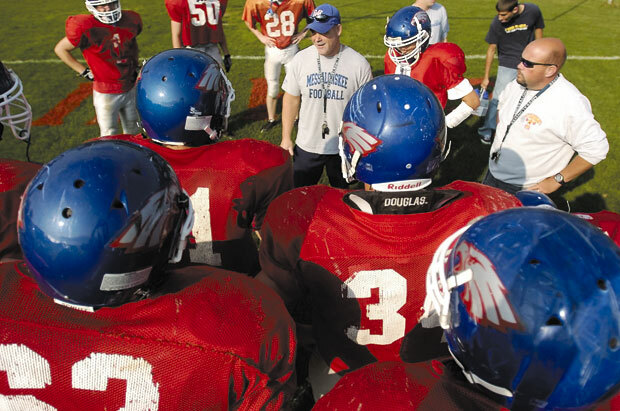 Messalonskee High School football's head coach Wes Littlefield, and defensive coordinator Pete Bolduc have a word with the team during a recent practice in Oakland.